Submitter: This one came to us as a donation, but a quick check of our system finds that one library still has it on their shelves and another library has the 2001 “Rev. and updated ed.” I love that it is trademarked. Holly: I hope the 2001 edition was completely revised and updated. Like, redone, basically. The sample page that Submitter included below is funny. “You always have film in your camera!” “You have a hanky in your purse!” “When it says DON’T BLEACH, you don’t!” (Show me someone who DOES bleach when they SHOULD!) 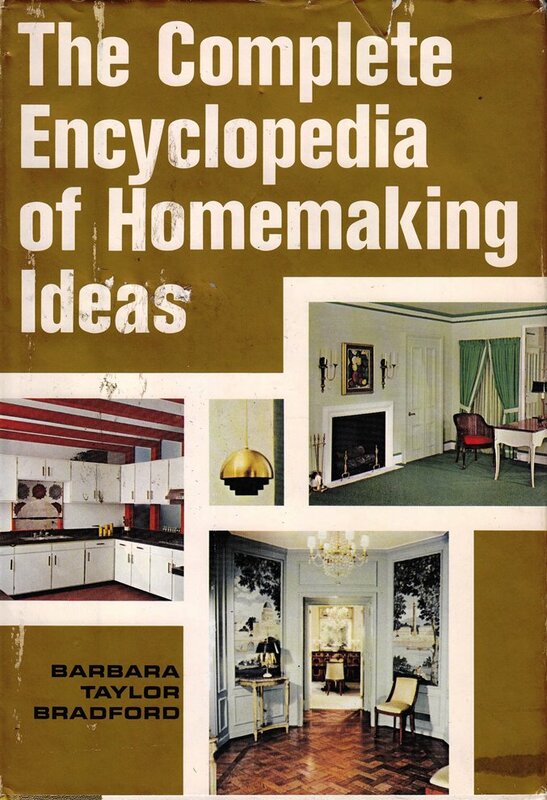 Household tip books will always be useful in a public library, but let’s be honest; the genius that is Pinterest can replace this book any day. 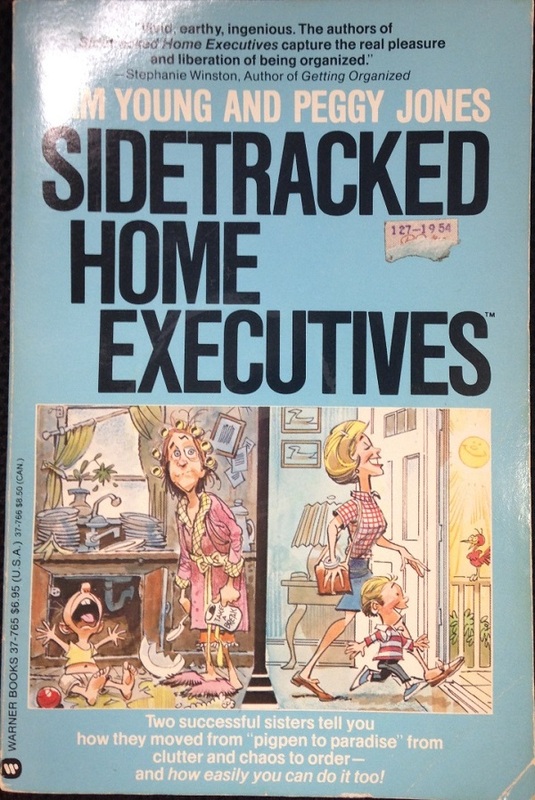 Let’s hope that poor Peggy and Pam have gotten organized and have a hot dinner on their husbands’ plates when he gets home from work (see back cover, below). As for me, I’m going to load up my Pinterest board and just pretend I’m inspired. Retro Decorating at its finest! 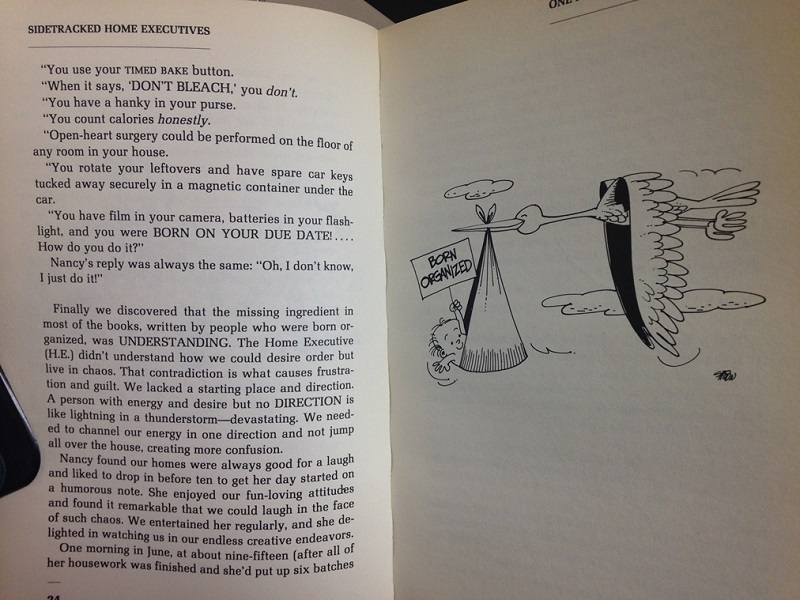 This isn’t actually a “household hints” book, but a whole system for getting organized. 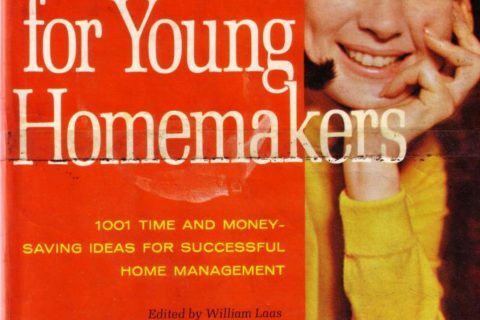 It was also a major inspiration for the very popular FlyLady.net home organization system. This one’s outdated, though, for sure. Oh, I was planning to do the Flylady thing! But, I was too disorganized to get around to it, I guess, and then I forgot the name…LOL. I don’t think Pinterest would substitute for this. An electronic calendar, spreadsheet or something like that might. The description of the rotating card system reminds me of Mira in THE WOMEN’S ROOM by Marilyn French. She cleaned her house using an index card system. I guess that was big back in the day. Now Marie Kondo’s LIFE-CHANGING MAGIC OF TIDYING UP is all the rage. I guess we always need help organizing our living spaces! Marie Kondo’s great, actually! She’s not really about organizing, she’s about throwing out crap you hate and never use. I can recommend it. Oh, I agree–I’ve used Kondo’s book myself with enthusiasm. Her organizational tips are about keeping all like items together, and storing items so that you can see everything at once. What struck me is the evergreen need for help with the way we keep our living spaces. 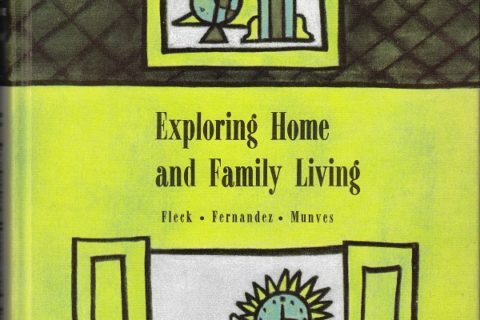 I loved this book when I was a mother of young children. I saw these ladies for the first time on Mike Douglas. They really got it — some people are just not born tidy. And we need a system to get our homes, clothes, and kids clean and organized. 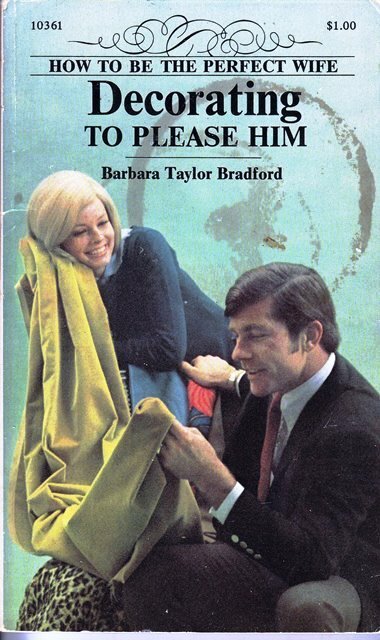 My mom had this book! We all ended up with file cards in flowery boxes to run our day thanks to it! 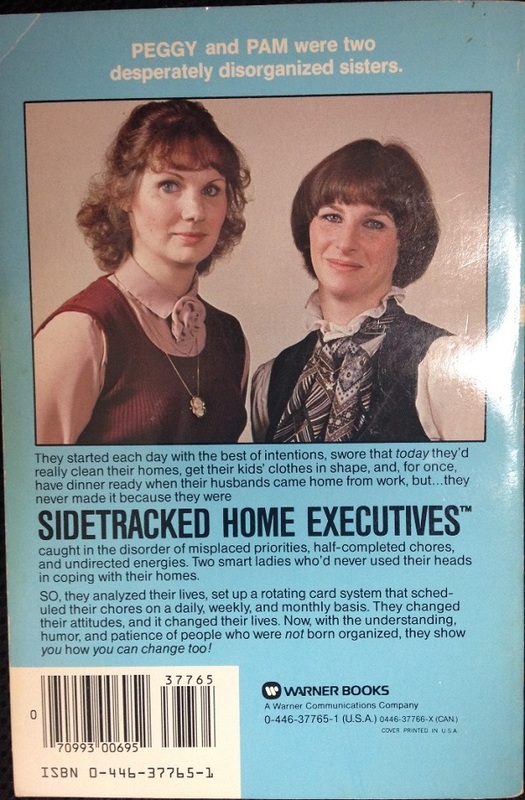 Ah, the “Slob Sisters”! Two women each in two income households who sat down, did the math, and concluded that between the cost of gas, daycare, frozen dinners and pizza delivery it was cheaper to leave their office jobs and pursue their careers from home. That meant they’d become almost like their mothers, though, but no problem, they’re college educated professionals, how hard could it be to be Donna Reed? Oh crap. Somehow, I knew, I just *knew* that we were the library with the 2001 edition still on the shelves. Sure enough, I just checked the catalog and it’s there. Ugh! So embarrassing. Needless to say, I’m rectifying the situation ASAP!! Oh Wow, just checked our database, and we have one lone copy in our main branch!!! just checked out days ago too!